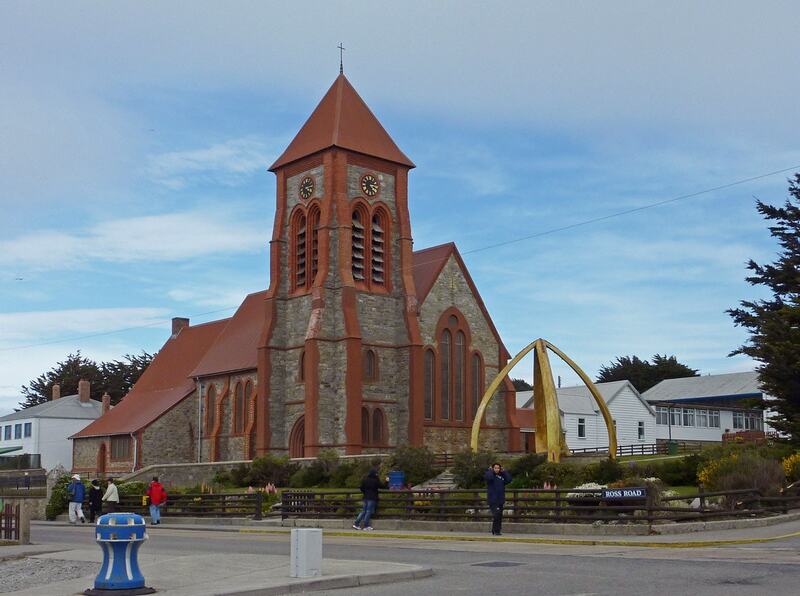 The southernmost Anglican cathedral is Christ Church Cathedral in Stanley, Falkland Islands. This brick and stone building was designed by Sir Arthur Blomfield and constructed in 1892. 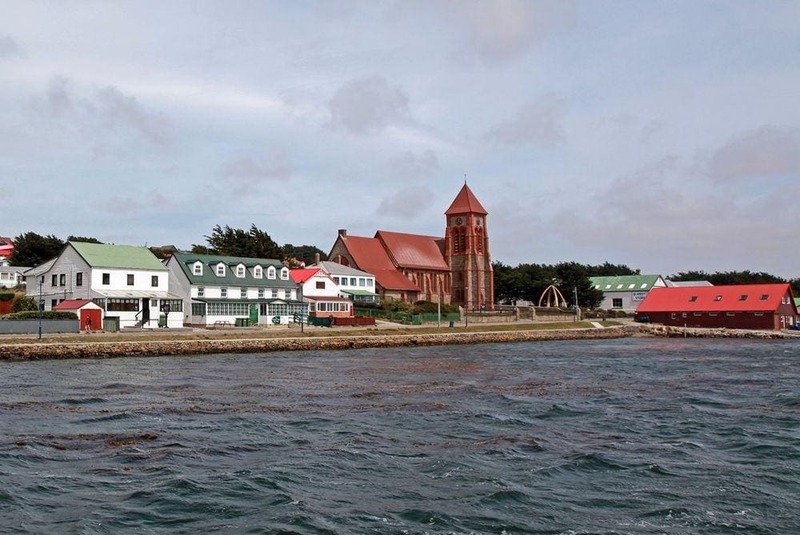 Stanley became a capital of Falkland islands in the middle of the 19th century. One of the first buildings here was the Exchange Building built in the site of present day cathedral. In 1865 the eastern wing of this wooden building was turned into a church – Holy Trinity Church – which was never consecrated. Before the construction of Panama Canal Stanley had a significant geopolitical importance – ships stopped here for repairs after the dangerous route around Cape Horn. Bishop of Falkland Islands felt that the church is too small and in 1882 there was established a church building committee. Nature speeded up these plans. The winter of 1886 happened to be very wet, with frequent heavy rains. One day a catastroph happened – a peat layer slided down from the slope of the hill next to Stanley. This landslide destroyed many buildings along its way – including the Holy Trinity Church. The cooperation of the people on Falkland Islands and assistance from the United Kingdom brought a success. The new church was designed by the famous architect Sir Arthur Blomfield and built from local stone and bricks in 1890 – 1892. The new church was consecrated in February 21 1892 by the Bishop Waite Hockin Stirling. 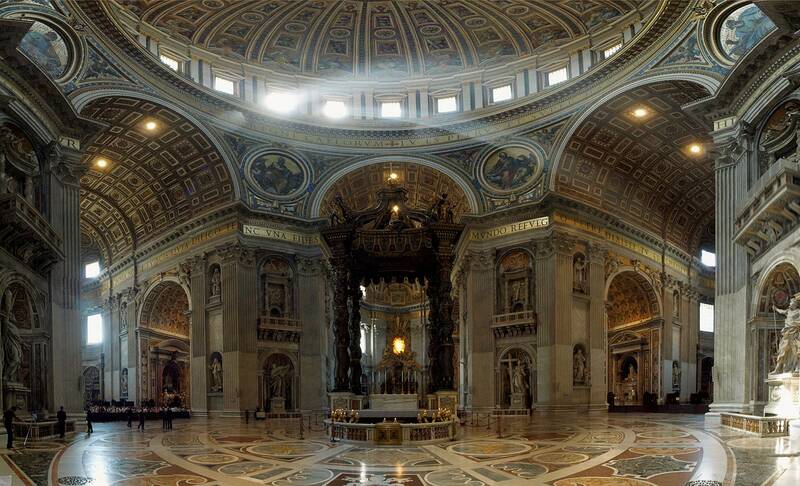 This church has simple interior. The eye is attracted just by the intricate stained glass in the windows (made in 1927, 1958, 1988) and numerous plates along the walls telling about many persons and events. Interesting is the collection of some 55 hassocks – cushions used while the congregation kneels on while the prayer. These hassocks are knitted by local people and each of them depicts a design or picture that has a connection with Falkland Islands. The church has been renovated 100 years after its construction – in 1992. One of the valuables in the church is a banner of the Order of Garter, bequeathed by Sir Edward Shackleton (1911 – 1994) – a son of the famous explorer of Antarctica Ernest Shackleton. Order of the Garter is the most prestigious order of chivalry in the United Kingdom, it is existing since 1348. Most banners of this order are located in St George’s Chapel at Windsor Palace in England and the banner of Shackleton is the only one in South America. Edward Shackleton was an active explorer himself and was a president of the Royal Geographic Society in 1971 – 1974. He was knighted in 1974. In 1975 and also in 1982 Sir Shackleton was invited by the British government to explore the economics of Falkland Islands. His proposals included the upgrade of Stanley airfield, licensing of fishing, land reform. His advice has been of great assistance to the economy of Falklands. Christ Church in Stanley is the parish church of the Falkland Islands, South Georgia and the British Antarctic Territories. It is the southernmost Anglican cathedral in the world and one of the smallest Anglican cathedrals. Bishop of this church now is Archbishop of Canterbury – the principal leader of the Church of England, with his seat 12 655 km far away in London. The Falklands Conflict between Argentina and United Kingdom started long ago. British captain John Byron claimed the islands in 1765 (one year after the French) but Spain bought the French colony and expelled the Brits in 1770. Spanish settlers withdrew to Argentina in 1811. In 1820 the islands were claimed by the new nation of Argentina, but in 1833 the islands were regained by British forces. 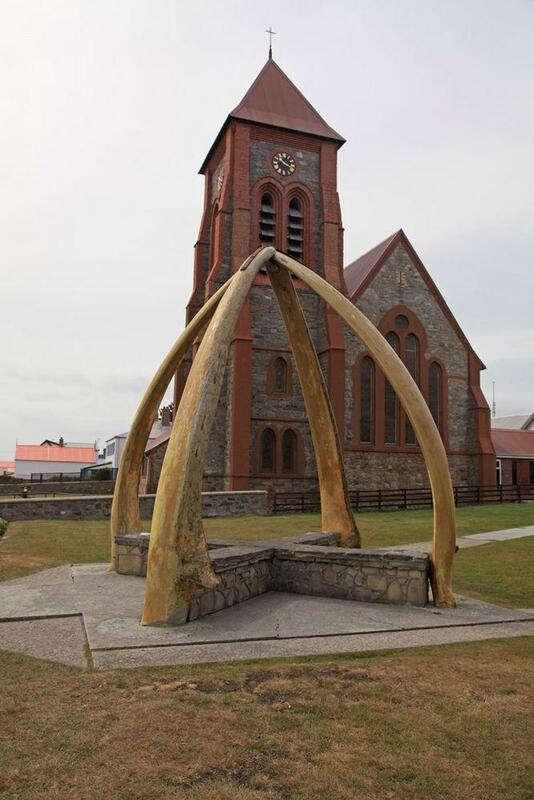 In 1933, to commemorate 100 years anniversary since this event, there was built an original monument in the front of Christ Church Cathedral – a Whalebone Arch. It consists of two jawbones of blue whales (Balaenoptera musculus) – the largest mammals of the world. These bones were brought here from South Shetland islands in 1922. Now this unusual monument is deteriorating and has been coated. Port Stanley – Falkland Islands. James Cusick’s Blog. Accessed in 01.01.2012. The landscape of Falkland Islands is barren, with rocks and characteristic stone runs – stone covered plains. In spite of this uninviting description islands have their special charm. This is land of wilderness and there is abundant life along its rugged coast and beaches. 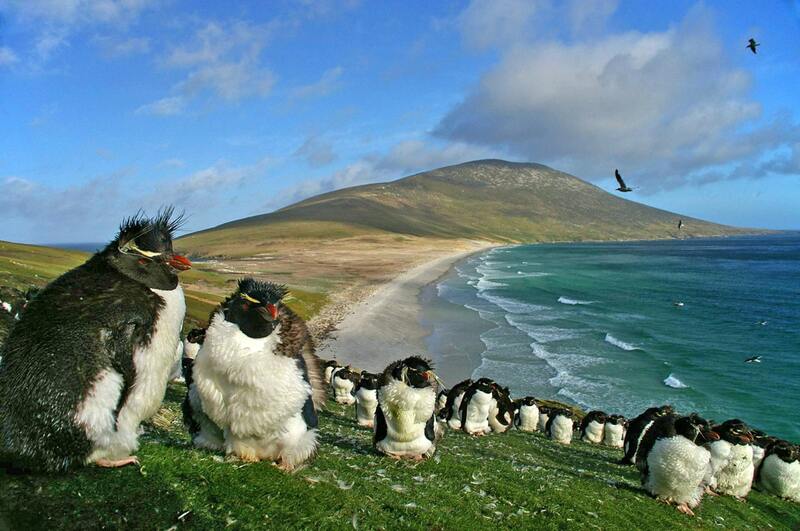 The world calls The Falkland Islands harsh and isolated. The Carters called it home… In 1982, war brought The Falkland Islands into the spotlight. When Jennifer and her family put down roots in an unspoiled community on West Falkland, they can’t help but see the unruly climate and the close proximity to a frozen wasteland. This guide gives special prominence to the natural history of these islands which are teeming with wildlife, with a focus on conservation and environmental issues.